The Showcase Meeting at Cheltenham is always a big marker at the start of the new winter jumps season and that was the case once again over the weekend. Thousands poured into Prestbury Park as they always do and they got to see some very decent performances as a number of horses put up impressive displays, despite the early stage of the season. As always on a Monday, I round up all of the key action for the last few days as we continue the long and bumpy road towards the 2016 Cheltenham Festival by picking out those all important eye catchers and market movers. John Ferguson has been banging in the winners all summer with his former flat horses loving the fast ground and with a relatively dry Autumn thus far, the Newmarket handler is continuing to enjoy a large amount of success. That continued at Cheltenham over the weekend as the Ferguson/Aidan Coleman partnership once again prospered. The criticism aimed at many of the Ferguson horses are that they are flat bred speed merchants who won't get up the Cheltenham hill in the spring but that wasn't the case for two of his horses over the weekend. Penglai Pavilion and Devilment both impressed in winning over hurdles on Friday and Saturday respectively and both could be horses to follow. Penglai Pavilion was an excellent flat horse as his 5h place in the 2013 Arc showed and he looked equally at home over the obstacles on Friday as he won the Neptune race over 2m5f. The fast ground was certainly in his favour but he stormed up the hill and certainly wasn't stopping as some feared he would with his Neptune price for the Festival cut from 25/1 into 20/1 with Hills as a result which seems about fair. Penglai Pavilion impressed at Cheltenham but can he be a top level horse? Penglai Pavilion remains unbeaten over hurdles to win the Novice @CheltenhamRaces. Hopefully Ferguson has a genuine Graded horse now! The other big Ferguson success at Cheltenham came on Saturday as Devilment battled away to win the Masterson Holdings Hurdle ahead of some good horses like Karezak and Hargam. It remains to be seen how good this race was but Devilment did it well and could now go to the Greatwood Hurdle next month back at Prestbury Park. Elsewhere on the Showcase card we saw a number of nice performances including from the Jessie Harrington trained Rock The World who won the 2m Novice Chase on Friday although that didn't look a strong race and not too many punters are rushing to back him at 40/1 for the Arkle Chase this morning. Dark Spirit won the Pertemps Qualifier in good style for Evan Williams and it will be interesting to see if he turns up for the Final of that race in March, while Colin Bowe picked up a big race win as Shantou Flyer won the 3m Novices Chase on Friday ahead of the likes of Weather babe and Vicente. Paul Nicholls does seem to have some very nice novice chasers on his hands this season and a couple of those in particular have performed well this past week. 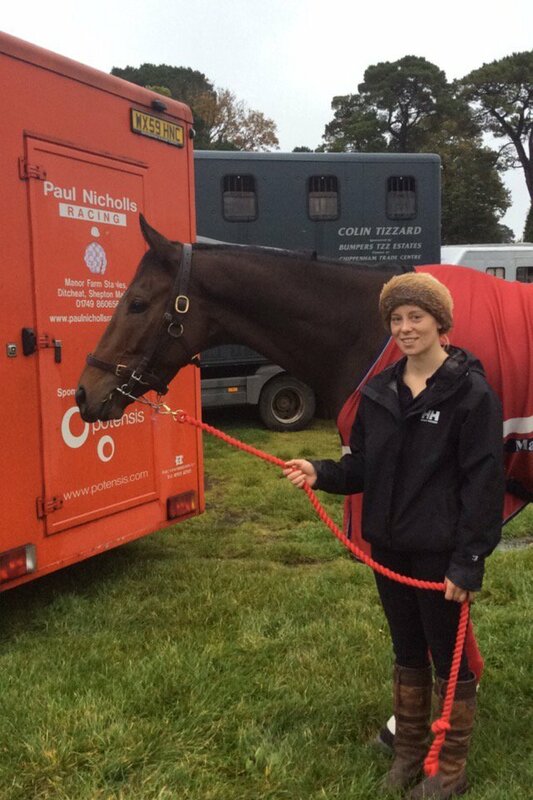 Former classy Juvenile hurdler Calipto made his chasing debut at Fontwell last Wednesday. This was of course a weak renewal but Calipto did it well and he remains a fascinating prospect with his opening price of 33/1 with Sky Bet for the Arkle a more than fair price at this stage. The Champion Trainer also tasted success at Cheltenham on Saturday as Art Mauresque won the Royal Gloucestershire Hussars Novices' Chase over 2m4f and he looks a fair animal. His time as a novice is now up which could see him take in the Paddy Power Gold Cup next month although that would be a massive step up from this small field win. One horse Art Mauresque could face in the Paddy Power is the super impressive Boondooma who won the 2m Handicap Chase on Saturday afternoon at Cheltenham. This Dr Richard Newland in-mate jumped and travelled with style and is now a best price of just 14/1 for the Paddy Power next month which could well attract a fair bit of each-way money. It was a relatively quiet Sunday in terms of Jump Racing but there were one or two eye catchers to take note of on both sides of the Irish Sea. Aintree raced for the first time this season with the Old Roan Chase always a decent early winter contest over 2m4. This year it was taken by the game Sound Investment for Paul Nicholls who claimed the win and he is another progressive sort who could go to the Paddy Power Gold Cup with half a chance at 16/1. Elsewhere on the Aintree card, we saw a nice performance from Perform who won the Maiden Hurdle for Philip Hobbs and Richard Johnson and although it is impossible to rate this form, the son of Kings Theatre did it well and he looks a decent chaser in the making. It was disappointing to see Disko beaten but the front two did pull well clear of the field and he did perhaps run a little free early on which means he shouldn't be given up on just yet. Disko remains a 25/1 shot for both the Supreme Novices Hurdle and the Neptune in March and we should learn a lot more about him next time out.